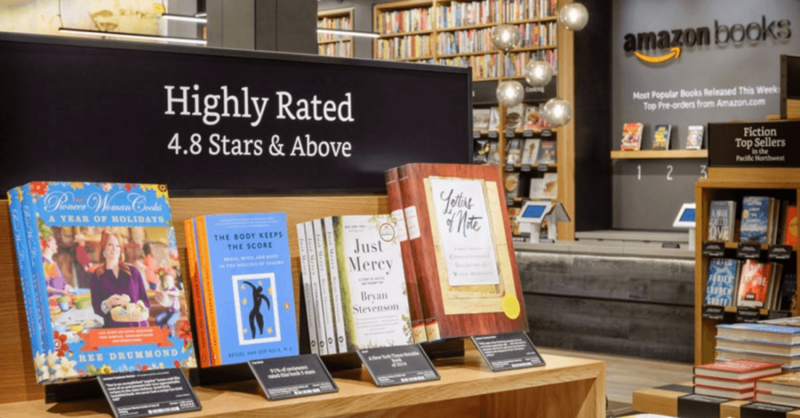 Amazon opened up its first physical bookstore back in November last year, selling goods at the same price as those on the retail giant’s website, which are usually lower than list price. But a recent change means that the discounted books won’t be available to everyone, only members of Amazon’s Prime subscription service. It’s been almost a year since the first Amazon Books store opened its doors in Seattle’s University Village shopping center. Two more outlets have appeared in San Diego and Portland since then, and another two are about to open in Boston and Chicago. The new pricing structure applies to all the stores. It was GeekWire that first reported the change, which has been in place since August. Customers who aren’t members of the $99 per year – or $10.99 per month – Prime service now pay the list price for books, which can be anything from 6 percent to 40 percent higher. Unsurprisingly, Amazon is using the discounted goods as way of attracting more Prime members. The new pricing model is advertised across the stores, and customers can sign up for a 30-day Prime trial at the checkout. The only items not covered by the new rule are Amazon devices such as Fire tablets, which are the same price for everyone. As noted by The Verge, there are a number of stores that require memberships before customers can buy their discounted products, Costco being one example, while Barnes & Noble’s annual membership includes discounted books. Amazon has never revealed exactly how many people subscribe to its Prime service, but the figure is estimated to be around 70 million in the US, meaning more than half of the company's customer base are subscribers.